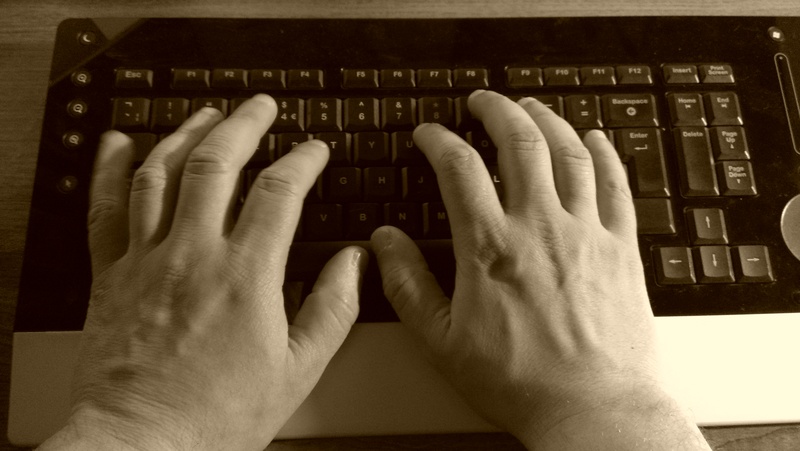 Great advice – not having to take your hands from the keyboard saves a lot of time. I did know them all, but only because I learnt them over a few months. It’s difficult to learn all at once so what I did was put one on a post-it note on my monitor and make a concerted effort to use it. Once I realised that I was using that shortcut without thinking, it was time for a new post-it. My favourites are the ones I added myself – which is the next step after learning these. Thanks for your comment, and that’s interesting, I’m not sure how I developed them all, just as I went along, I think. And yes, indeed, the next step will be written about at some point in the future. Love your company name, by the way! Or if you are on a Mac, the shortcut on OS X is the Command key instead of Control. Paste while keeping the working document style. Option + Command + Shift + V.
To use dictation (you talk rather than typing) press fn twice. To get OS X to speak your work back, very good for noticing bad grammar, mark block your text and press Option + Escape. To show invisibles, great for finding out why you may have problems with your layout. Think this could do with a blog post Liz. Shift + Command + L, to hide them again Shift + Command + I.
Wow – that’s a lot of info, thank you. I will indeed be doing other posts on short cuts in the future, and will include this Mac info when I do. Thanks! Yes it depends on your friends and colleagues, but someone was really impressed recently when I used ctrl+I in front of them last week! I must be doing something wrong, it’s not working for me. I highlighted a phrase, then I pressed Ctrl-l, (Ctrl l, with no dash, am I supposed to type the dash?) but nothing happened, a search thing popped up on the left of my page. I wanted to italic-ize a phrase I typed. using MS word 2013 – is there any way of not using the mouse after doing a Ctrl+P. I just upgraded from 2007 and I never had to use a mouse in the Ctrl+P menu. I need shortcuts. Thanks. Thanks for your question. I have had a look, and you can navigate the menu that comes up after Ctrl+P using the Tab button to move between buttons and the Enter key to “press” the button – does that help? ctrl-J justifies the paragraph the cursor is in, or takes full justification off if it’s on already (so it toggles, like the other key combinations). I hope that helps. If you can wait for an hour or so I’m going to write up a new post which includes all the ones I don’t include here! I really did know all of those only I would like to know what it control key is to post because I’m trying to post and my post icon button has disappeared and I’m not able to touch it with the mouse so what is my control shortcut key to post? Thank you for your question: it would help to know what you’re trying to post and where, e.g. a WordPress blog post using Firefox, etc. My first suggestions if your icon has disappeared, though, would be a) refresh the page you’re on, b) close and reopen the browser window for that page, c) restart the browser, d) restart your computer. I hope this helps! LOGITECH? Are they still in business? I have found them a nightmare to even try to contact! Thank you for your comment. I can’t really make any comments on the maker of my (old) keyboard; I purchase them myself and don’t have any special relationship with the manufacturer. I’ve moved on to an IKBC now as I wore the keycaps down over a few years of my Logitech and it got a bit uncomfortable to use!